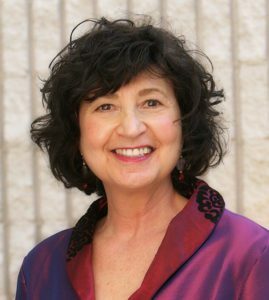 AMALIA STARR, International Speaker, Author, Mentor, Coach, and Founder of Autism Independence Foundation; for Special Needs Parents and Professionals. Amalia writes, shares her stories and lessons learned about how her son, Brandon, beat the odds and achieved his dream of independence. She brings HOPE to special needs parents and professionals alike. She shares her forty years of experience through keynote presentations, trainings, seminars, workshops, and private consultations and through her work with The Autism Independence Foundation. Amalia is the founder and CEO of Autism Independence Foundation. AIF’s mission is to teach, prepare, inspire and support parents of children with special needs to live independently. She has authored two books, Raising Brandon and What’ll I Do Without You, Mom? She is currently completing the Final Instructional Care Manual, which will allow the parents voice and wishes to continue on when they are no longer here. Amalia’s 41-year-old son, Brandon, has autism, intractable epilepsy, and severe learning disorders. Although the professionals told her that he would never be able to live alone, she and Brandon beat the odds together, and he was able to live out his dream of independence, for 17 years. For the past ten years, Amalia has been sharing vital information that all special needs parents need to know. Her success with Brandon is noteworthy and she has received great recognition as a “pioneer” focusing on specialized innovative approaches for parents and their children. Her training sessions are invaluable and a necessity for those parents who desire for their children to live their fullest life possible. Her teaching method is based in trust rather than fear. Her techniques have been proven to work and her teachings are personalized because every child is unique. Amalia is a natural born teacher and she truly knows what she is doing. Her “letting go” technique is extraordinary. One can tell she was born to do what she does. Her enthusiasm and upbeat personality is contagious. Parents can easily relate and identify with her experiences because they are experiencing the same things. After hearing Amalia’s relatable stories, parents appreciate what she has accomplished, and many parent’s fears start to disappear. After participating in the independence training programs, they begin to trust more wholeheartedly that anything is possible and no longer live in despair of the future. They finally have the information and tools they can use, and HOPE to hold on to, as they move forward one day at a time.